OpenRoadTravels.com is the website of Open Road Publishers, owned by Russell and Penny Jennings. 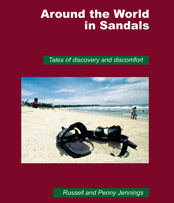 Available on the website are the books they have written and published: Travel Planner's Weather Guide, Around the World in Sandals and Timbuktu, where are you? 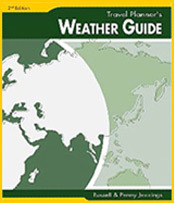 The Travel Planner’s Weather Guide advises the best time to travel anywhere in the world, and can help a person make long range travel plans. It is brimming with information. Their other books, Around the World in Sandals and Timbuktu, where are you? 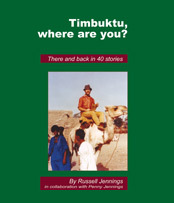 Each chronicle 40 stories of the Jennings’ backpacking adventures and misadventures as they travelled the globe. The online users can order the books online using our simple order form.